Frank Jaskulke has his eyes on Minnesota’s medical technology pulse. That pulse, according to Jaskulke, grew out of the company that gave the state its heartbeat. Jaskulke with Medical Alley Association in Golden Valley says hundreds and hundreds of companies have branched out from Medtronic. They include Maple Grove’s largest employer Boston Scientific and Abbott Laboratories in Plymouth. “Because of that company we now have 35,000 people in medical device jobs alone,” said Jaskulke. Minnesota is home to the largest cluster of health care technology companies in the world. 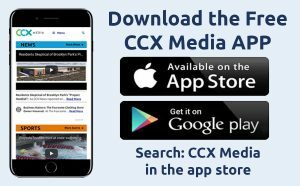 The CCX News viewing area, which features cities like Brooklyn Park, Maple Grove and Plymouth, plays a prominent role. “The northwest suburbs are probably the heart of the medical technology industry for the state of Minnesota and maybe even the entire country,” said Jaskulke. The last two years have been historic for Minnesota medical technology startups raising investment capital. Last year companies raised $725 million, just shy of the all-time mark of $759 million set in 2017. Several med-tech startups in the northwest suburbs are examples of that explosive growth. They include Francis Medical in Maple Grove, which is developing a device for the treatment of prostate cancer. Francis Medical spun out of Maple-Grove-based NxThera, before Boston Scientific aquired NxThera last year. Francis Medical’s founder Michael Hoey also co-founded NxThera. Others include 4C Medical Techologies in Brooklyn Park, which is developing a transcatheter mitral valve, which repairs heart defects without having to crack open the chest. And Urotronic in Plymouth is developing a catheter device to treat urethral problems. “They’re probably are 200-300 different, just med device companies in Plymouth, Brooklyn Park and Maple Grove alone,” said Jaskulke. Jaskulke believes 2019 could approach a record because as companies develop, the amount of money they need to raise gets larger. “I think there’s a decent probability that 2019 finishes with more than a billion dollars raised for health-care startups, which would be the first in the state’s history,” he said.